Since the beginning of 2018, China has been committed to accelerating the construction of gas storage and peak-shaving facilities. The policy documents such as Opinions on Accelerating Construction of Natural Gas Storage Facilities and Improving Market Mechanism of Natural Gas Storage and Peak-Shaving Auxiliary Service and Notice on Planning for the Construction and Operation of Natural Gas Storage Facilities were issued in succession, and the domestic natural gas storage and peak-shaving capacity significantly improved. In addition, China rationalized the prices of residential gas at gate stations and improved the price mechanism to achieve the integration of residential/non-residential gas prices and promote the reform of the market-based pricing mechanism and market mechanism in May. In August, the National Development and Reform Commission (NDRC) issued an exposure draft for Fair and Open Supervision Measures for Oil and Gas Pipeline Facilities, which stipulates that the midstream management is fair to the third party to improve the efficiency of the pipeline transportation. A series of reform policies aimed at the difficulties of the natural gas industry have been launched in succession. China’s natural gas market has been in rapid development and golden reform periods currently. In 2018, China’s natural gas market performs even better from previous years. 2018 Guiding Opinions on Energy Work proposes that the proportion of natural gas consumption in 2018 will increase to 7.5% or so. In H1, 2018, China’s natural gas consumption volume reached 135.52 bcm, up 18.25% Y-O-Y. In 2018, the utilization of natural gas terminals has developed rapidly, and SCI reckons that the growth rate of natural gas consumption will continue to rally. There will be huge consumption potential and development space in China’s natural gas market. However, against “rich coal and lack of oil and gas” and unconventional natural gas development, China still needs to import natural gas to meet huge demand on the basis on output increase. SCI estimates that China’s natural gas import volume will increase significantly in 2019. SCI has proceeded non-stop data monitor since the beginning of the domestic natural gas development in 2003 to the current rapid developing period. Besides, SCI combines the official data publishers and the actual providers of the terminals to integrate statistical data in all relevant fields to provide customers with more accurate and valuable analysis prospects. 1. 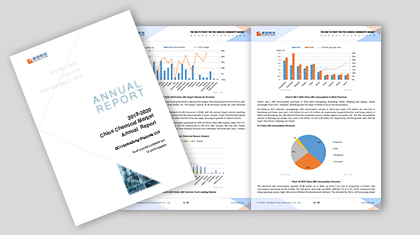 To analyze the overall development status of China’s natural gas market through an overview of the natural gas market in 2018. 2. To analyze China’s natural gas downstream consumption structure and let market participants comprehend the overall utilization status of domestic natural gas resources. 3. To look forward to the future development prospects of natural gas through the relevant forecast analysis of China’s natural gas fundamental data. 4. To interpret the development policies related to the downstream, midstream and upstream industries of China’s natural gas market, so that market participants can comprehend the market policy orientation. Appendix 1 China Introduced Reform on Natural Gas Pricing.